Another year is coming to an end here at Música Crónica and that means our four year end playlists are all gift wrapped and ready for your ears just in time for Christmas! During the first week of December we released our 2014 International playlist which highlighted our favorites from around the globe. The second week in December brought you the 2014 National playlist that zeroed in on our Spanish bands and artists. This week is a one-two punch to the senses. 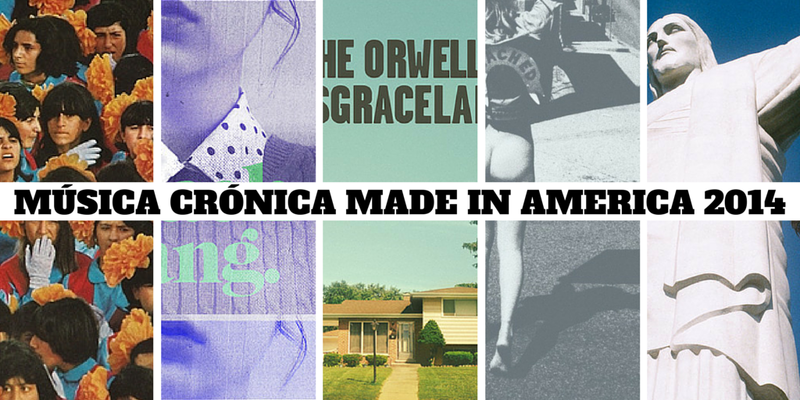 2014 Made In The UK rolled out on the 16th and featured great tunes from across the pond and now, wait for it, wait for it, the 2014 Made In America playlist! For me, 2014 was a great year for discovering new American and Canadian bands and artists. The DIY music scene is hotter than ever and producing some amazingly talented musicians. Some of my absolute favorites included releases from Ex Hex, Alvvays, Bleached, and Cancers. We also featured new releases from veteran artists and new bands with veteran artists like Against Me!, The Both, and Tweedy. In 2014 my record collection grew as my bank account shrunk but all in all it was a fantastic year. The following Deezer playlist, while not comprehensive, does showcase some of the best from the year in Made In America. I'll compile a complete 2014 Made In America playlist on Spotify and release it next week.